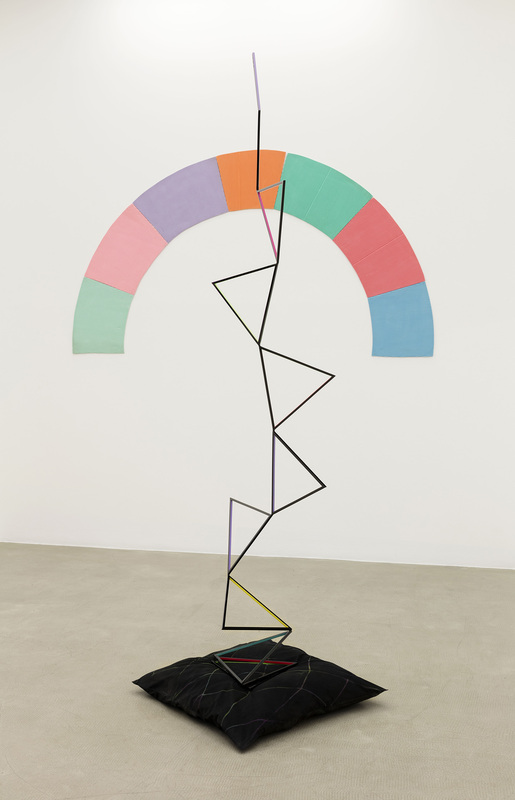 kaufmann repetto is pleased to announce the fourth solo exhibition in Milan of new sculptures by Eva Rothschild. 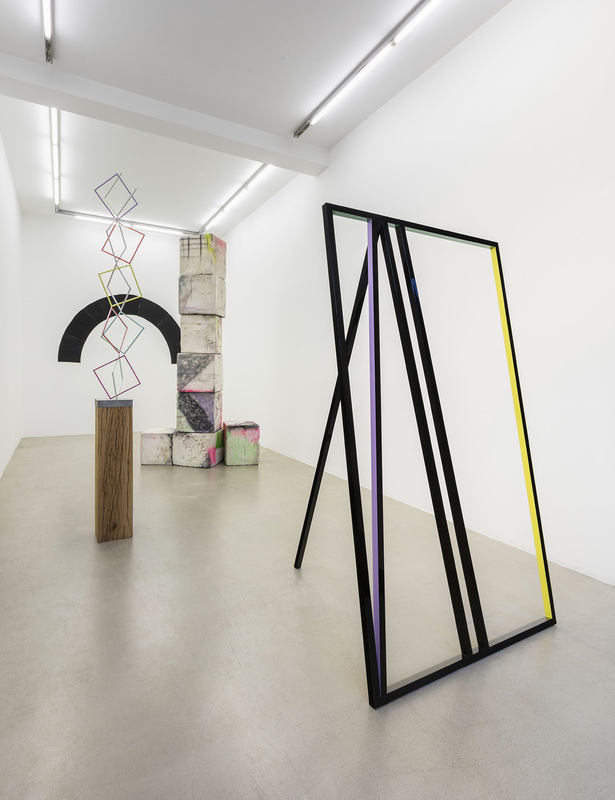 The show pairs recent works together with new sculptures conceived specifically for the gallery space. 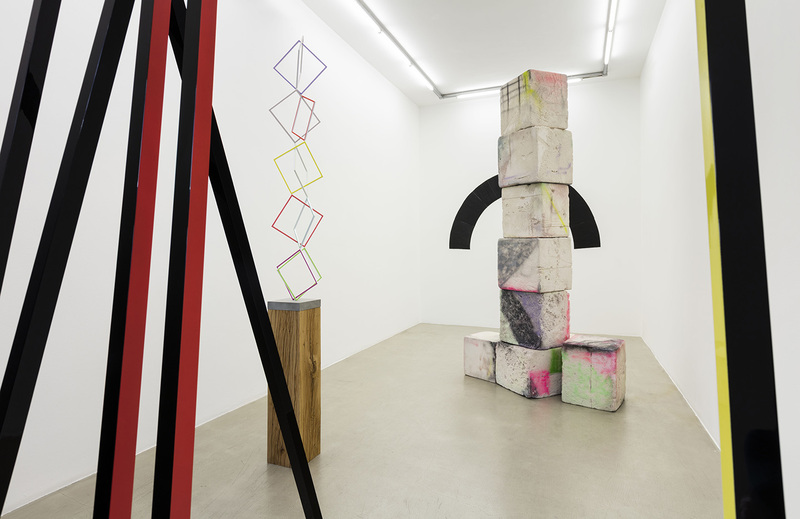 The exhibited works include a number of recurring motifs in Rothschild’s practice: tumbling geometric shapes, stacks of modular elements, cast objects, columns. A combination of familiar and unexpected forms is a pivotal aspect in Rothschild’s oeuvre, simultaneously resonating with and shifting symbolic and pictorial meanings. 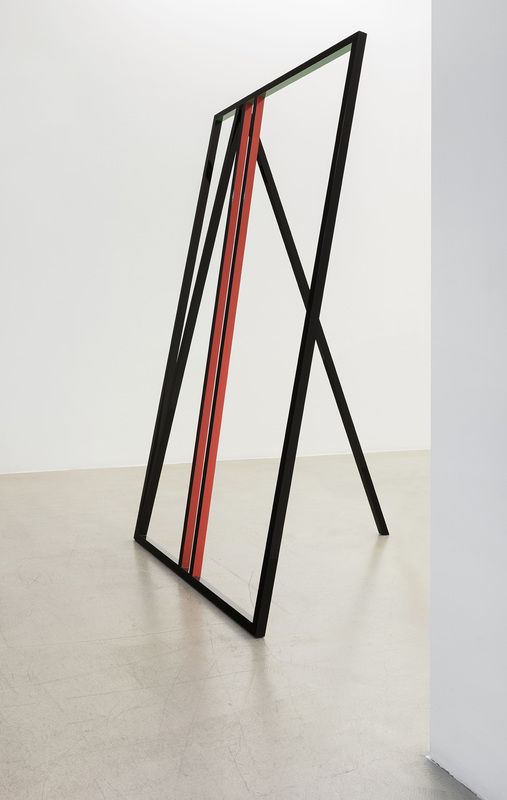 Aspects of plurality and multi-part assembly are embedded in the artist’s practice, which deals at the same time with a very specific set of materials and colours. 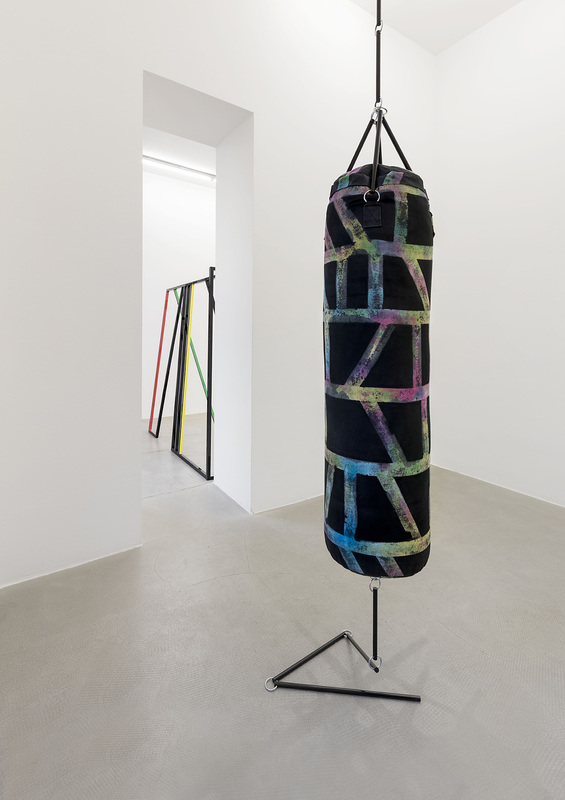 The durability of steel is paired with a soft cushion element in Witness (2017), and employed with a graphic, drawing-like effect in the two sculptures A Gated Community (2016). 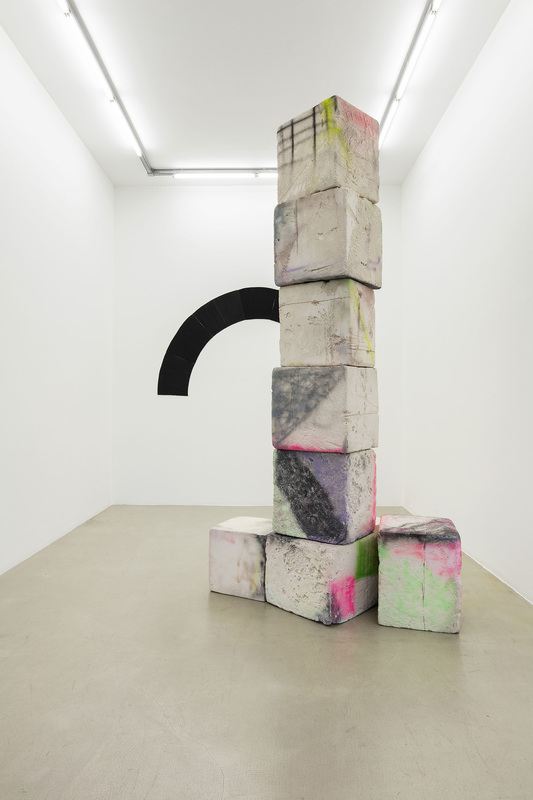 Rough blocks of jesmonite are piled up (Ruins, 2016) or flattened in black painted, wall-mounted panels (Europa and Bold Europa, 2017). 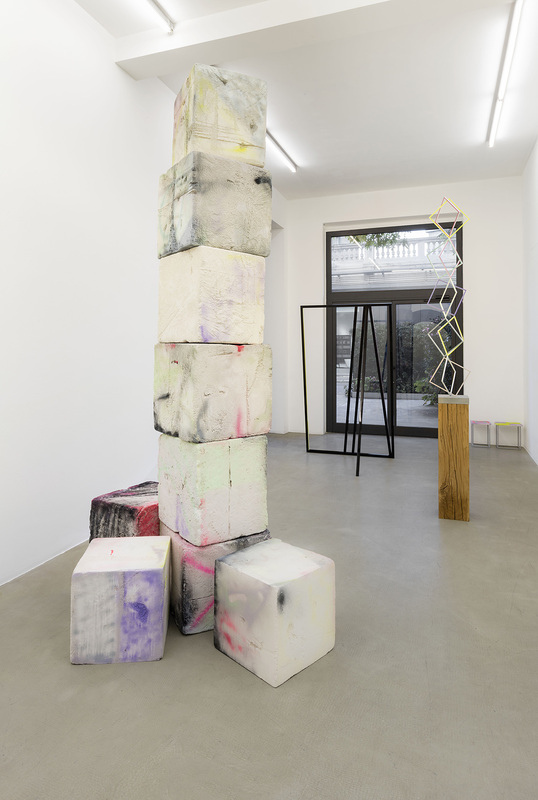 A sense of lost or corrupted monumentality resonates among the works on show, as well as a tension of verticality and ascension – an attempt by the artist to occupy the space in all its dimensions. 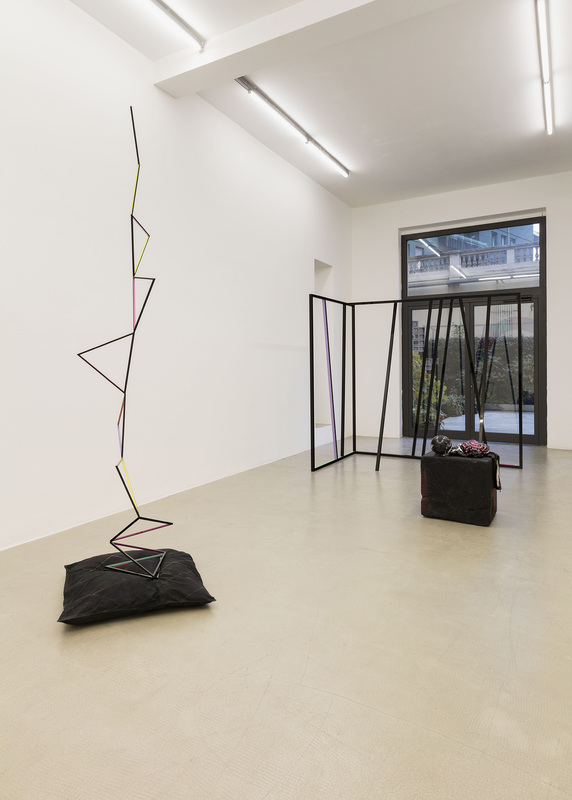 Elaborating on and challenging the formal traditions of minimalism, Rothschild references culture, history and symbolic suggestion to build complex webs of precedents and associations which can be both familiar and disorienting. Her open-ended artworks encourage the viewer to question their own assumptions about how we experience objects in the world.